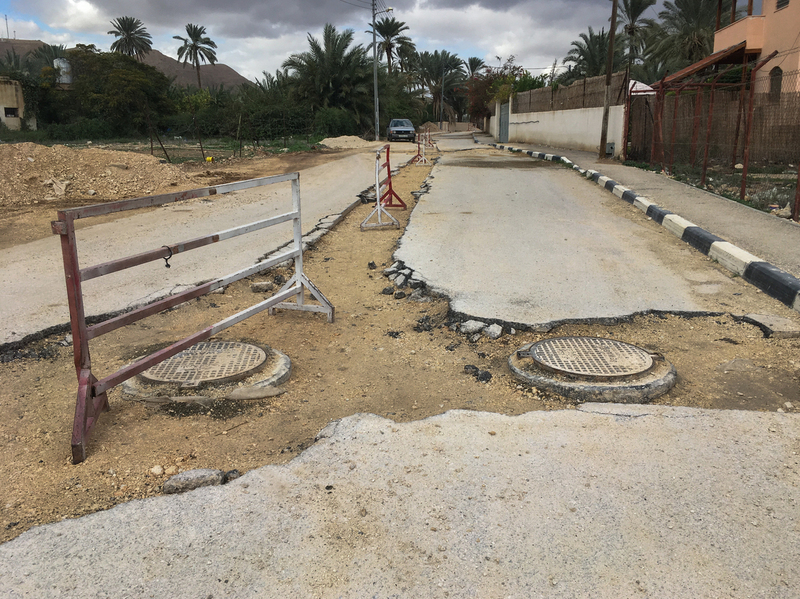 Palestinian School And Sewage Projects Unfinished As U.S. Cuts Final Bit Of Aid The White House has blocked efforts to finish U.S.-funded infrastructure projects in the West Bank and Gaza before a Feb. 1 aid cutoff date. A father and his daughter cross a street under renovations as part of a U.S. aid grant in the village of al-Badhan, north of Nablus in Israeli occupied West Bank in August 2018. 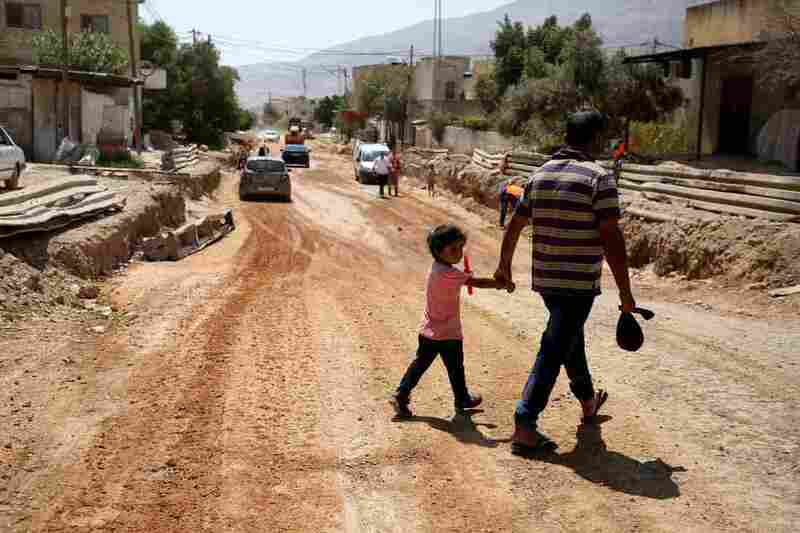 A nearly complete, multimillion-dollar sewage network being built under the roads of Jericho, in the West Bank, will have to be buried under asphalt and abandoned because of new restrictions on Palestinian aid, U.S. officials warn.